DoubleStar was showing off on their Zombie themed AR lower receivers at SHOT show (Shooting Hunting and Outdoor Trade) at the beginning of the year but lost in that Zombie themed AR was the message that DoubleStar can deliver truly one of a kind custom ARs for any need. DoubleStar offers a number of standard laser engravings on their AR lower receivers for a $12 upcharge, but I then asked the question if they could work with any custom artwork and the answer was sure “for a one time $50 setup charge”.... done. The result is the custom one of a kind laser engraved MajorPandemic.com Morse Code Transmitter typically good for thirty character messages or more depending on the magazine used. If you have your own clean vectored Adobe Illustrator logo (.ai format), you can supply that to DoubleStar to be laser etched into a DoubleStar lower receiver. Just note that they charge $50/hour to clean up the logos if it is not clean or you do not supply it in that format. With a mischievous chuckle, the justification I gave myself for yet another AR was that everyone needs the ability to reliably communicate. 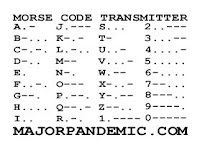 Having a Morse Code transmitter (with a 30 round Troy Battlemag) and encoding cheat sheet handy seemed like a great idea for someone with a preparedness mindset. J&T Distributing was founded over 30 years ago as a distributor specializing in AR related products. If you are an AR retailer you know J&T as a major supplier of all things AR, however they recognized that there was need to also supply the consumer side as well. 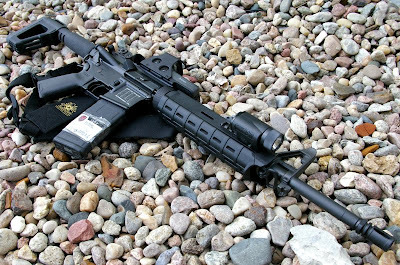 DoubleStar was started in 2000 to complement the 30 year-old parent company with a business to consumer/government/export facing division which focused on serving customers with innovative products around the AR15 and full auto NFA Class 3 M16 platform. Since DoubleStar’s inception, it has developed a longstanding reputation for building high quality ARs in the law enforcement, military and civilian communities. What I was fascinated with was the massive abilities consolidated under the J&T Distributing family which includes DoubleStar and now, the newly acquired, Ace Stocks. Now under one roof, the J&T business family delivers pretty much everything you could want from industry leading manufacturers like Ace Stock, Magpul, Troy, YHM and PRI and everything in between. 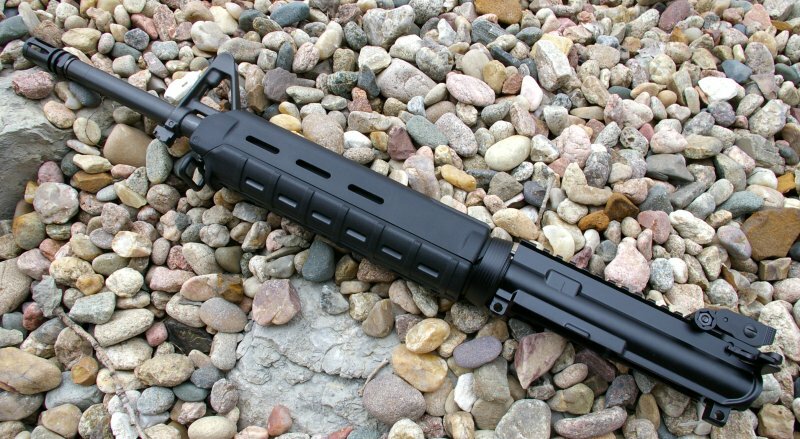 DoubleStar also offers their own line of high quality AR15 products which begin with the AR15 rifles and rifle kits and expand to a long list of DoubleStar’s own AR15 upgrades, barrels, sights, and parts. As a military and law enforcement supplier, DoubleStar is not just slapping together a standard menu of AR15 rifles. 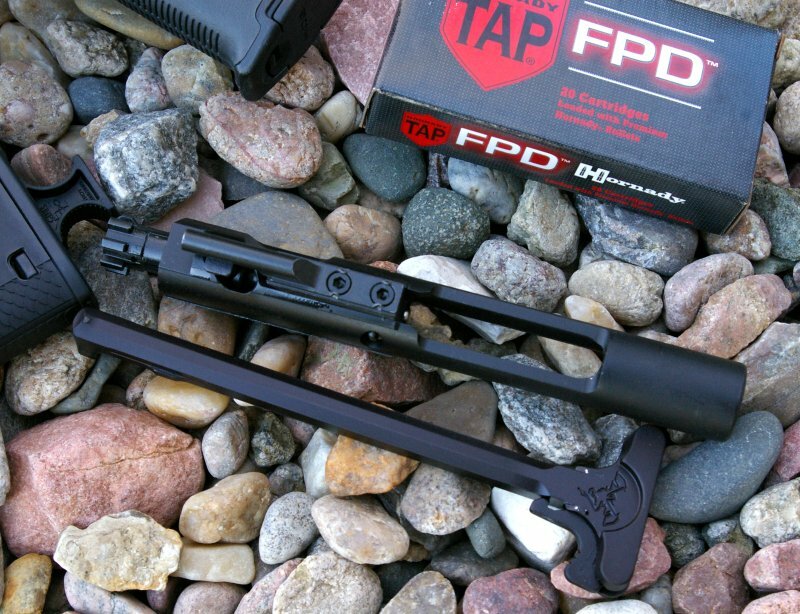 In fact, the majority of their business is delivering configuration specific hard use defensive rifles based on their wide array of available upgrades. This allows you as a customer to give them a call and customize a rifle the way you want it all from one company. Their newest customization option is of course the Laser Engraving. Supply them with a high resolution vectored .ai Adobe Illustrator format black and white image and they will customize your AR15 lower with that logo on the right hand ejection door side. Want more custom laser engraving on the other side, DoubleStar can do that as well for an additional charge. The setup fees are one time assuming you do not change the logo and after that all the engravings with your logo are just a $12 upcharge. 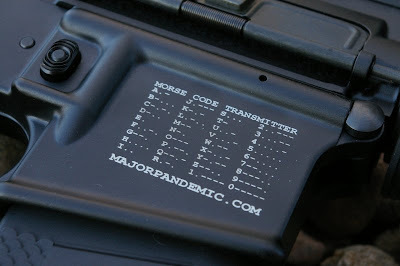 Since the question has come up from friends already, yes you can use my shown MajorPandemic.com Morse Code Transmitter logo on file at DoubleStar logo on your next DoubleStar AR15 lower receiver. I have cleared it with DoubleStar and since I picked up the $50 setup charge it will only be a $12 receiver customization upcharge for you. To be honest, I was in the mood for another AR and this time I wanted a beast that I could hammer through a door with. 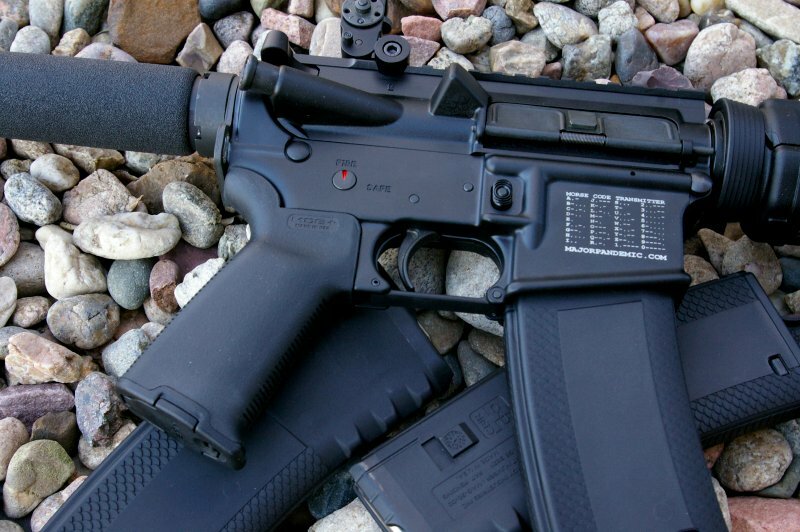 While weight was not a concern, a mid-length heavy barreled 5.56 chamber was a requirement. 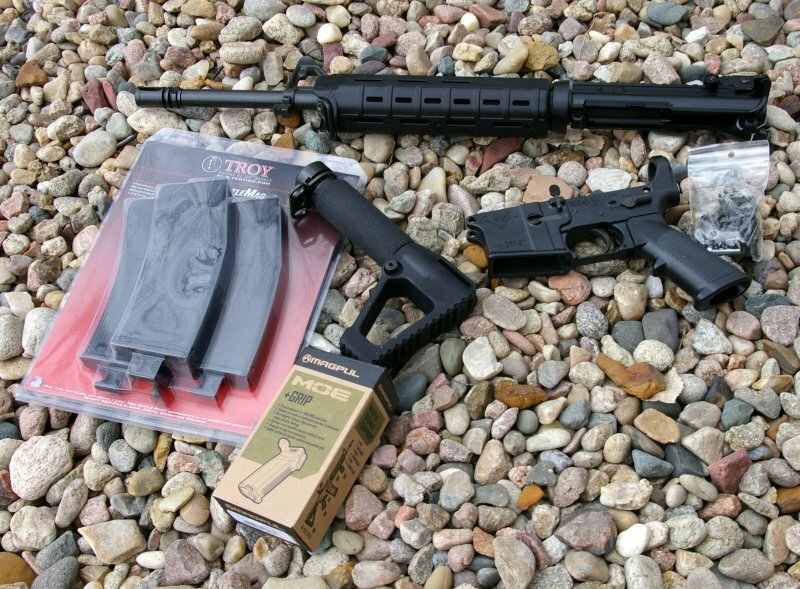 Also on my have to have list was an upgraded grip and forend as well as an Ace Stock. For DoubleStar this was an every day build, but for me it demonstrated how integrated the J&T Distributing, DoubleStar, and Ace Stock divisions are. DOUBLESTAR’S AR15 CUSTOM LOWER RECEIVER WITH INTERNALS - For the base of the build, I choose the DoubleStar Lower Receiver with Internals and grip for $199.99 + $50 for the custom laser engraving setup. Working in a graphics program I created high resolution versions of the shown laser etching until I found one I liked after printing out a scaled versions and holding cut outs up to another AR15 lower. Low tech proofing but it worked and after I found what I liked, I sent it over to DoubleStar via email. They converted the image to a laser engraving on a receiver with their new service and then shipped the custom DoubleStar AR15 lower to my specified local FFL dealer for my pick up and FFL paperwork. The DoubleStar AR15 lower itself is complete minus the rear take-down pin, spring, detent and stock however the J&T kit also purchased provided another set of complete internals and stock kit to harvest from. Technically I purchased nearly an entire extra parts kit, however those parts were gobbled up quickly for another build. Generally the industry pretty much all use a standard DPMS parts kit and trigger however DoubleStar’s builds and kits include very high quality parts kits with improved trigger and upgraded springs. 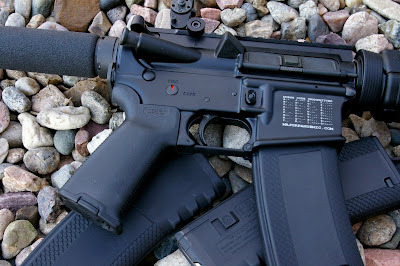 I own two ARs with DoubleStar AR internals and in my opinion it is probably the best stock AR combat trigger any company offers without going to an upgraded ALG or Geissele trigger upgrade. Sure, buying a stripped DoubleStar lower and then installing a DPMS parts kit is less expensive however, I just think the extra $25 is worth it for a substantially improved trigger. 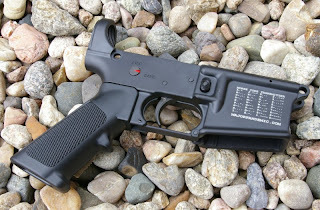 J&T DISTRIBUTING AR KITS - J&T has been well known for offering a variety of customizable kits. For my kit, I started with a 16" Mid-Length Flattop AR15 Kit -$539.99 -ARK572 and upgraded the kit to include an Magpul MOE Grip $23.98 and forend $25, DoubleStar’s own DSC Flip Up Rear Sight $99 and a three pack of the new Troy Battle Mags $42.99. 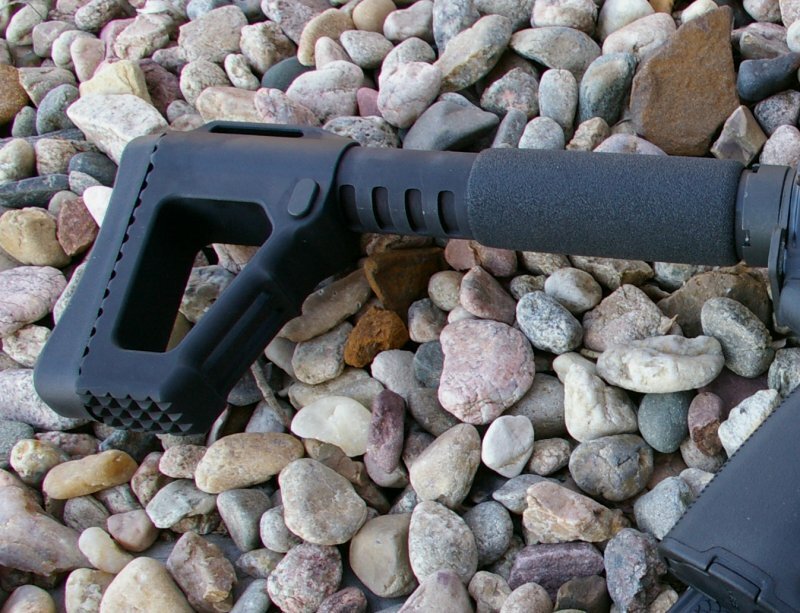 J&T’s standard AR kits include a forged flat-top upper receiver with T-marked picatinny rails, phosphated AR15 bolt and carrier group, DoubleStar charging handle. My Mid-Length version came with a 1:9 twist heavy non-chrome lined barrel with standard A2 flash-hider and standard fixed front gas block sight. The chrome lining is great if you plan on completely abusing your AR, but this one will most likely never see a drop of rain as a home defense and sporting gun so I saved a few bucks. My kit arrived with upper completely assembled with my Magpul MOE stock attached and ready to pin on the my custom receiver. 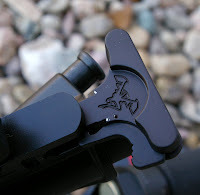 ACE SOCOM STOCK - Since my Mega Arms lightweight build, which featured a Ultralight Ace Stock, I have been in love with the features of AR15 Ace stocks. 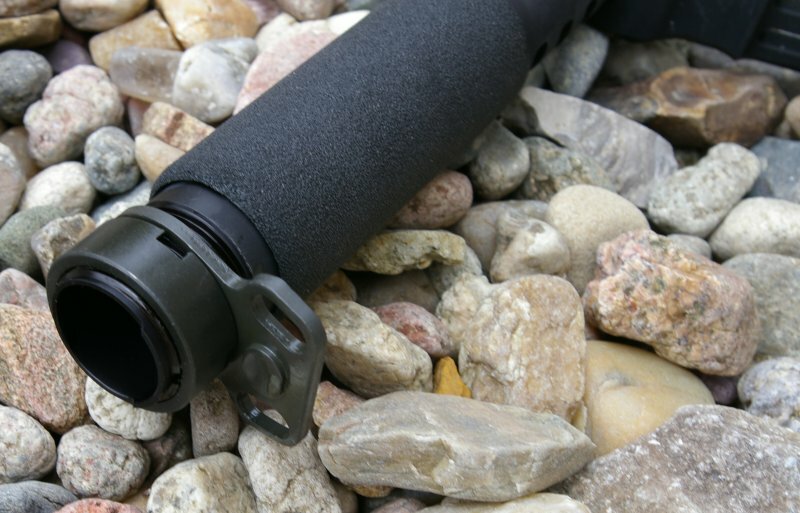 They are extraordinarily strong, absolutely rock solid and completely rattle free all while being very comfortable to shoot from. For this build I wanted adjustability because on occasion I will slip on my US Palm Defender Body armor when answering the knock of uninvited visitors. 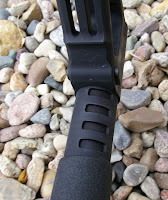 The Ace Socom Stock I choose provides 8.5”-10.5” of stock length. The buttstock rubber pad can be attached or removed based on your stock length requirements. Those who regularly wear body armor will probably like the stock without the pad to take advantage of the checkered grip on the back and bottom which interfaces very well with body armor. The Ace Socom stock is the most rock solid adjustable AR15 stock I have ever handled and also provides numerous sling mount points. Adjustment is simple via a side bottom which locks the stock in position like a bank vault. My Ace Socom Stock also came with a single point sling mount back-plate. This was a surprise bonus as I could not find anything in the literature that this is included, but it was a nice upgrade if it is now standard. If you have read my site, you know I own and have reviewed all the main AR manufacturers, many of the custom manufacturers, and have painstakingly pieced together a few of my own builds. In total, I think somewhere around twenty plus ARs have moved through my hands and I can say that the J&T, DoubleStar, and Ace Stock family is doing it right at a premium level. 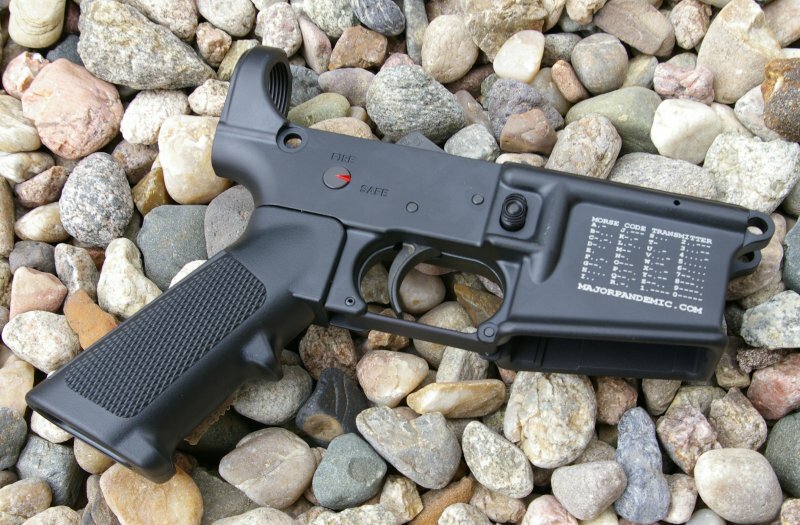 The assembled upper was well made and with top quality parts throughout, notably the trigger is the best stock trigger you will likely find. The Ace Stocks are superb in quality fit and finish and the engraving was factory perfect as if it was a standard item in their inventory. 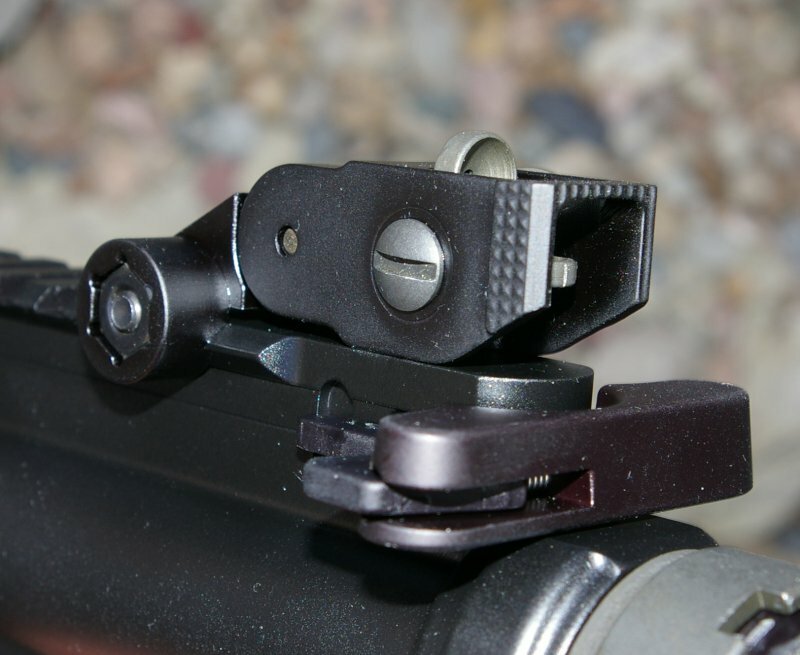 There are a bunch of flip-up sight options on the market now, however very few metal options are under $100 like the DoubleStar model. 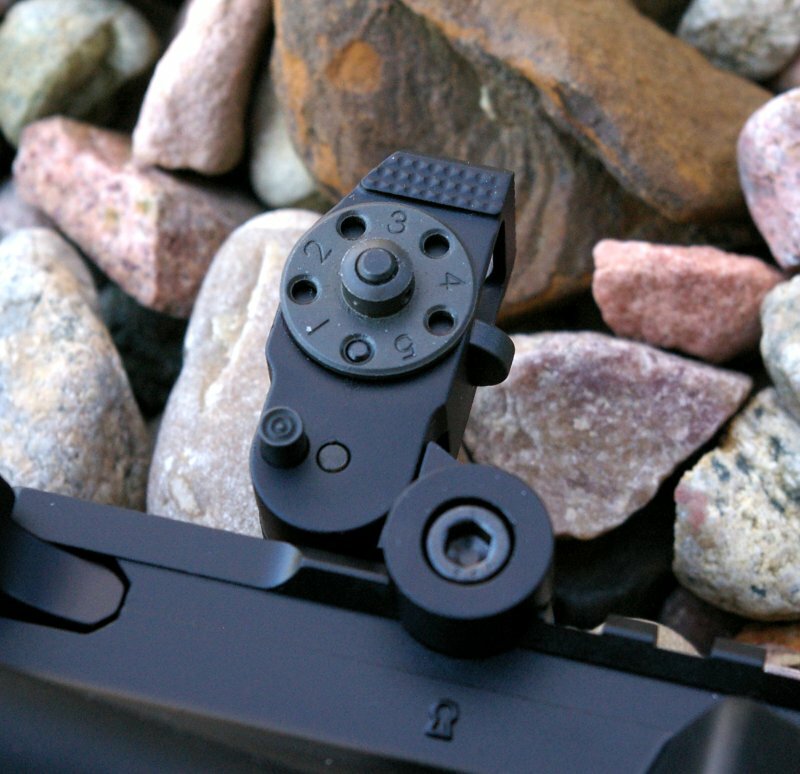 This is a solid backup combat sight that flips up with the thumb and locks in an upright position. 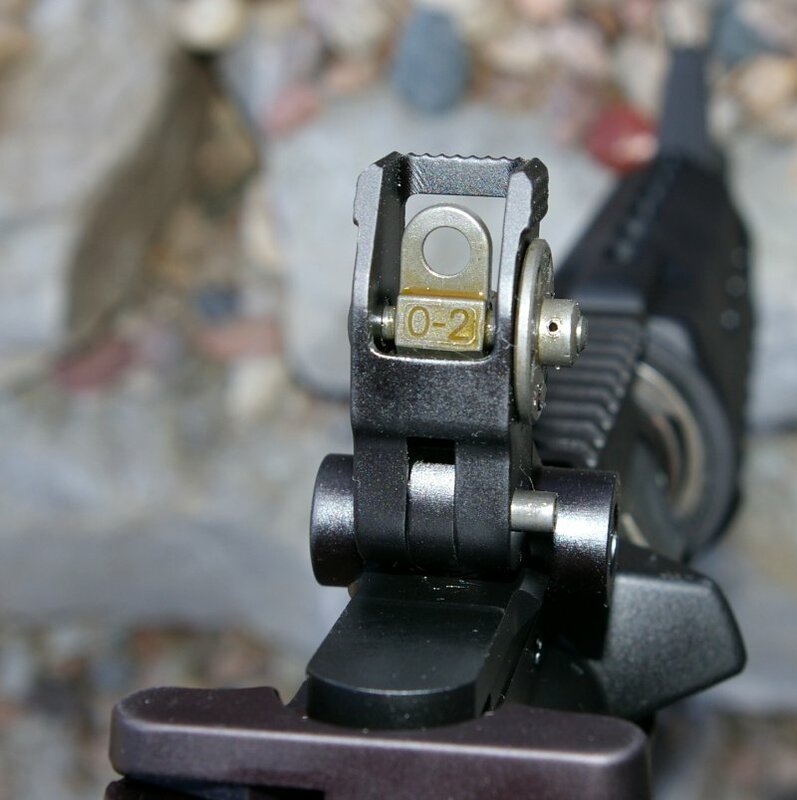 The peep is heavily shielded from impact and the windage settings lock in place and cannot be inadvertently moved. Functionally I have had zero problems with any ammo feeding or firing in the last three months of testing. Everyone expects a round count test, however I frankly have lost track... I know I am way over the 1000 round mark at this point with only a couple bolt wipe downs and one relube. A BoreSnake was pulled through after each of the first 50 rounds and then about every other magazine after that during the first couple hundred rounds as a break in procedure. 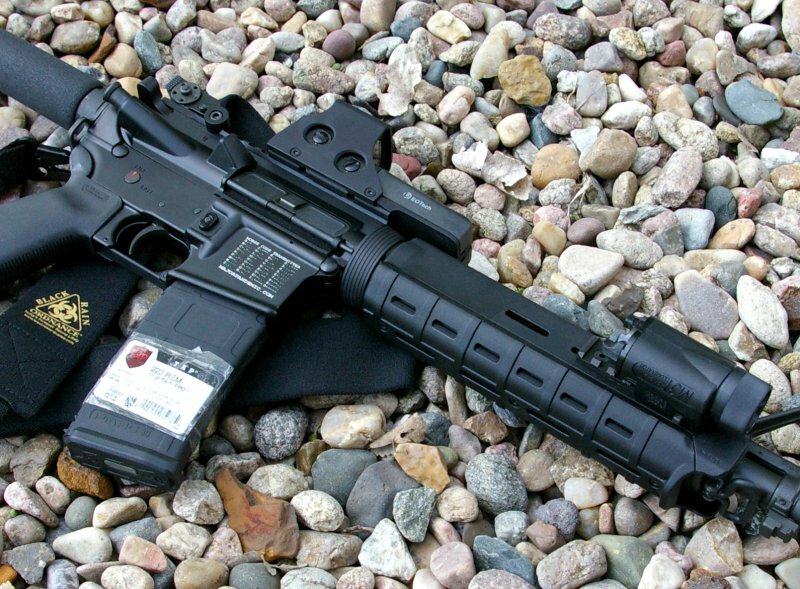 I later topped this build with my Eotech 512 and clipped on a Black Rain Ordnance single point sling. 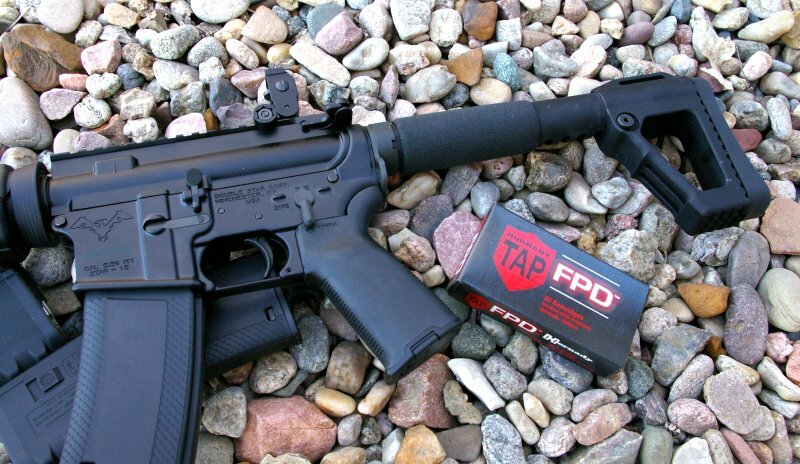 A rail and Insight Tactical light were also added to this beefy substantial feeling AR. Part of the driving force of this rifle was for a 1:9 twist barrel which would eat the inexpensive 55Gr rounds that the 1:7 twist barrel’ed ARs I have do not shoot as well. This of course is not a big issue at homestead defense ranges, but I wanted a barrel which would deliver 55gr rounds more accurately. 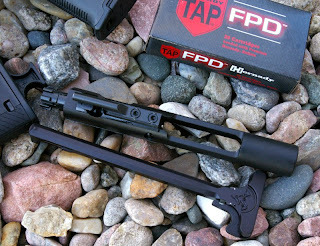 This heavy barrel does a wonderful job with those light inexpensive rounds as well as with some top end ammo for varminting and defense. With a Hi-Lux CMR 1-4X scope I was plenty happy with how this rifle performed off the bench. In my head there is a rolling and evolving list of what is the best stock rifle of those that I have seen, shot, handled and reviewed and DoubleStar is right there at the top. The DoubleStar, J&T, and Ace Stock family is definitely manufacturing top quality rifles and assembling them as if someone’s life will depend on its function. The fit of the components was excellent, but it was the little touches like the upgraded parts and trigger group which I think deliver a bit more value than many competing AR manufacturers. My flavor of beefy build may or may not be your favorite, however that is the cool thing, with DoubleStar you have options instead of being forced into one a standard build. You can order it your way. And of course nothing says “your way” better than your own personalized laser engraving. Does it improve functionality? No, but it does put a smile on my face, every time I pick up the rifle. For me that was worth the setup fee because you never know when you may need to send a sternly worded universally understood Morse Code message to someone... and I can never remember “..-. ..-” as a response.